Learn more about the HeadStart software through this comprehensive setup video tutorial. 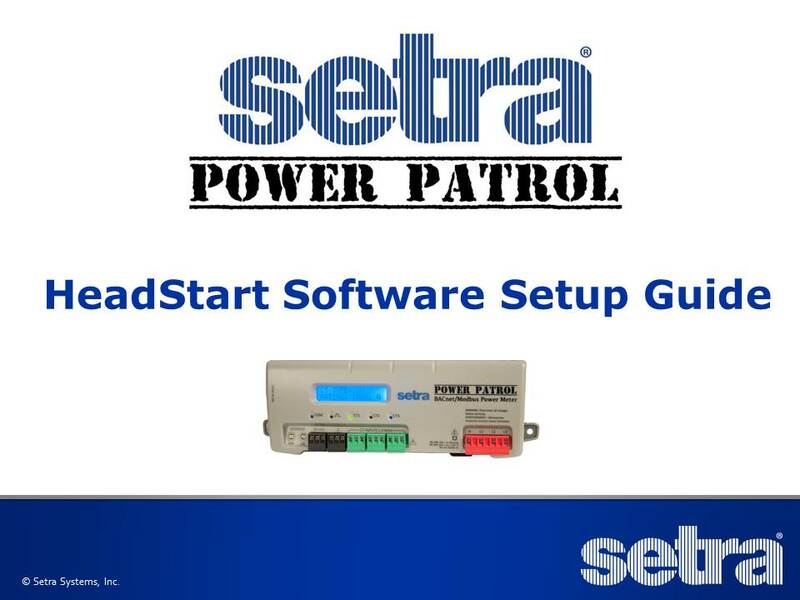 The HeadStart software is used with the Setra Power Patrol meter. This Windows based utility allows you to easily configure the meter prior to field installation by powering the device via USB port or checking real-time values before leaving the job site. Click to the right to get access to the HeadStart software setup guide.